Introducing Japan’s #1 Best-Selling Educational Publisher's Play Smart™ PLAYTIME - a new series in the critically-acclaimed, parents-approved, kids-adored “Fun-First Learning” Play Smart family! Simply fun activities that boost young brains for life! Introducing Play Smart PLAYTIME “Can You Solve It? Amazingly Fun Mazes"
Gakken’s Play Smart PLAYTIME Can You Solve It? Amazingly Fun Mazes pairs our research-based, engaging early learning activities with our “Learning should be fun” philosophy for hours of productive and smart play time while developing thinking skills, observation abilities, focus, confidence, and a love of learning. Play Smart PLAYTIME Can You Solve It? 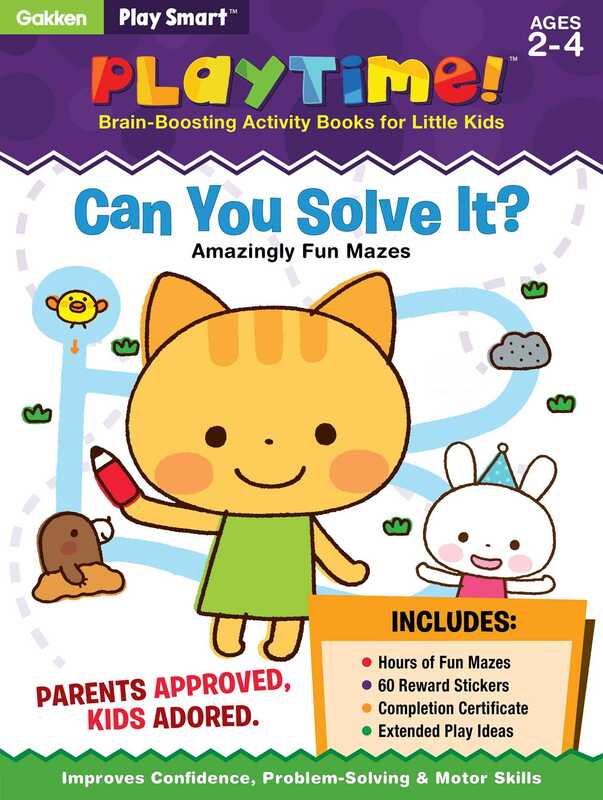 Amazingly Fun Mazes is packed with 20 fun-first mazes that educate your child and sharpen their skills without them realizing it. Each activity comes with tips for parents to help enhance the experience along with alternate ways to play each game. We also include "Extended Play Ideas" which takes each activity off the page and into the real world - a truly unique feature for activity books. Gakken's Play Smart PLAYTIME activity books include 60 adorable stickers and a suitable-for-framing completion certificate that allow you to reward your little one for a job well-done and to encourage additional learning.